Arthur Jones is the legendary founder of Nautilus. In 1986, he founded MedX to perfect the testing of human strength, endurance, and range of motion. After years of development and testing, validated by independent research teams at the University of Florida, MedX perfected its medical Lumbar Extension machine. It has since helped tens of thousands of people around the world reduce or eliminate their back pain. Subsequent developments produced the MedX Cervical Extension, Rotary Neck and Torso, and Knee / Hamstring machines, providing the medical community with the first tools capable of producing specific and accurate tests of functional ability, as well as the finest source of rehabilitative exercise. MedX applied the knowledge gained from its medical machines to the design of a full line of exercise-only machines. These machines incorporated MedX's patented compound weight stack which produces less friction and enables several hundred levels of available resistance in increments of 2ft-lbs. This feature reduces user strain and, for the first time, made it possible for individuals o select the exact level of resistance required regardless of their strength. In 2002, MedX created exercise versions of its medical machines and branded them the Core Spinal Fitness System™. In less than 20 minutes, twice a week, these five machines can help reduce or eliminate back pain by focusing on strength, stability, flexibility, and endurance of the body's core, providing a solid foundation for whole body strength. Arthur Jones devoted his life to educating people about the proper way to exercise and designing equipment best suited to his training methods. He pioneered the concept of High Intensity Strength Training, and proved through exhaustive research, that it is the most effective way to get results in the shortest period of time. Today, his vision lives on through Bill Crawford and BASIC TRAINING of Scottsdale. Bill worked with Arthur Jones in the Nautilus days, owned several Nautilus fitness centers in Los Angeles, and represented MedX in Europe where he imported MedX from the USA, set up MedX centers and trained clinicians. Bill is one of a select few trainers in the world who has been personally trained and endorsed by Arthur Jones. Bill is also certified through the University of Florida's Exercise Science Department in the use of MedX Medical Rehabilitation machines and he is certified for Evaluation and Rehabilitation of the Lumbar Spine. Now Bill and BASIC TRAINING present the most technologically advanced fitness, strength training, core training and Nautilus Stairmaster Cardiovascular equipment available anywhere. Bill has made the MedX Strength Training Circuit, The Core Spinal Fitness System and Nautilus Stairmaster cardiovascular equipment available to his clients at BASIC TRAINING in Scottsdale. The MedX is set up in an assembly line circuit and each machine exercises a specific muscle group. 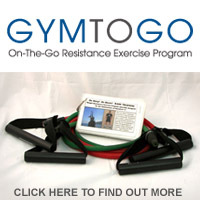 Exercisers progress through the circuit one machine at a time, through the full circuit. After completing the circuit, all major components of the musculoskeletal system are exercised safely and effectively in the proper order. Your initial training and program set-up will be taught to you by Bill. Personal audio guidance will be available to help you progress the circuit as if Bill were coaching you one-on-one, The MedX center has Bill's oversight and supervision with cost effective access for long-term fitness.